Update: Around 2:20pm The Washington Capitals have postponed today’s game due to the blizzard. Thank you Ted Leonsis for making the right decision. Written Prior to Game Cancellation: Frequent readers of this blog know I typically write about consumer technology and cable TV alternatives. However, today I’m trying to raise concern over the irresponsibility and lack of concern for human life of Ted Leonsis, CEO of the company that owns Verizon Center and owner of The Washington Capitals. Those not living on the east coast may be unaware that a blizzard of epic proportions is currently making its way into the Washington D.C. area. The storm is expected to drop 2 feet of snow on Washington D.C. area within a 24 hour period. A Blizzard Warning means severe winter weather conditions are expected or occurring. Falling and blowing snow with strong winds and poor visibilities are likely. This will lead to Whiteout conditions, making travel extremely dangerous. Do not travel. If you must travel, have a winter survival kit with you. If you get stranded, stay with your vehicle. Prepare for the possibility of power outages during snowy and cold conditions. While this blizzard is underway, the Washington Capitals are hosting the Anaheim Ducks for some NHL action at the Verizon Center. The game was originally scheduled for 7pm, but they moved up the puck drop to 5pm, still during the blizzard warning. I understand that it’s very hard to reschedule an NHL hockey game, and I don’t expect them to cancel when the Ducks are already in town. 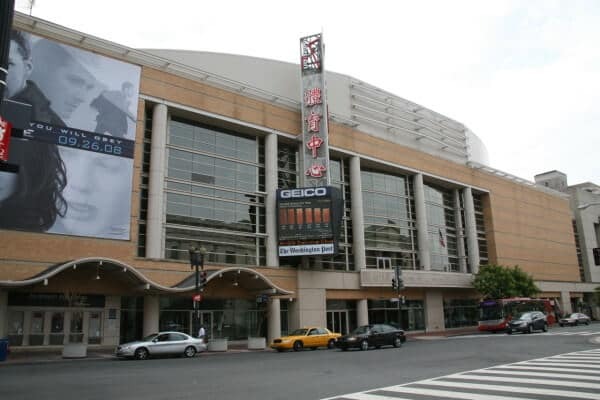 However, the Caps and the Verizon Center are currently not offering a ticket exchange. They are essentially daring fans to travel into a blizzard and risk their life to watch a hockey game. The average NHL hockey game lasts about 2 and a half hours. With a 5pm puck time that means people will be exiting the arena in heavy snow and dangerous conditions. If the game goes into overtime it’s possible to take 3 or 4 hours to finish. That would have fans exiting the arena in whiteout conditions. Many of those fans live in the Baltimore area 30 miles to the north (due to get 30-40 inches of snow). A metro ride and park and ride in optimal conditions can take 2 hours to get home. Placing fans in extremely treacherous conditions. Now, I know many will think that it’s on the fans that attend the game if they decide to journey into a life threatening situation during a declared state of emergency to watch a Hockey game. And to a certain extent I agree. However, modest Tickets in the upper level can easily cost fans $80 a piece. Families rarely go to these games alone, and for someone to just take a $160 loss on 2 tickets is asking a lot in today’s economy. Considering the Baltimore/Washington D.C. area doesn’t see blizzards often, people may not understand the full extent of the threat. I can easily see many people, ignorant of the impact of a storm like this, journey out to the game instead of eating hundreds of dollars. For billionaire Ted Leonsis to create a situation, where fans are lured into life threatening situations is just despicable. At the very least he could offer Fans an opportunity to exchange there tickets for another game, so they don’t consider the financial aspects when making their decision to stay home. I’ll keep an eye on the situation and update accordingly. As of the time of this post, instead of forgoing what amounts to pocket change to Ted Leonsis, he is daring people to risk their life to come to the game, serving them alcohol, and then tossing them into a life threatening blizzard.